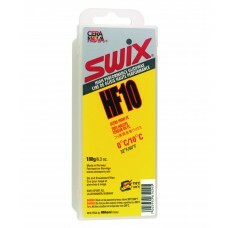 Swix HF10 High Fluoro Wax. HF10 YELLOW, +10ºC to 0ºC (50ºF to 32ºF), For very wet conditions. Falling wet snow, rain, and a water saturated snow surface. 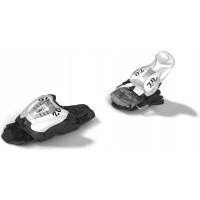 At these temperatures dirt in the snow is often concentrated at the surface, therefore HF10 is best used with era F FC10 powder as an overlayer. HF10 is often mixed with HF8. Recommended iron tempCerature setting of 110ºC.